//	Should you skip Samsung Galaxy Note 8 and wait for the Google Pixel 2 XL? Should you skip Samsung Galaxy Note 8 and wait for the Google Pixel 2 XL? Google has always had the last laugh when it comes to the smartphone calendar year. The search giant will be the last major name to unveil its phones this year, something that might turn out to be a huge advantage for the company. The first half of the year saw cool phones released, be it the LG G6, Samsung Galaxy S8, OnePlus 5, HTC U11 and so on. The second half of the year has already seen several flagships come to life, among them the Moto Z2 Force, Samsung Galaxy Note 8 and in a few days’ time, the LG V30 and Sony Xperia XZ1 will be with us. Next month, Apple is expected to unveil the iPhone 8, a phone that many are eagerly waiting for. Even with this, Cupertino will still be about a month ahead of Google, which will unveil the Pixel 2 XL on October 5th. For Android fans, the only other options ahead of them, at least now that the Galaxy Note 8 is here, are the LG V30 and Google Pixel 2 XL. With the rumored changes the V30 is set to undergo, there’s no doubt that this phone will be huge. However, Google, like every other year, will have the advantage of being the first company to ship a device with Android 8.0 Oreo out of the box (LG V20 was the first to ship with Nougat back in 2016). Some people have labeled the Galaxy Note 8 as a mere Galaxy S8+ with an S Pen, a slightly bigger camera, a dual-lens (gimmicky) camera and a smaller battery unit, the latter of which is very disturbing. Given the argument that the Note 8 is more of the S8+, a new argument has come up – should you wait for the Google Pixel 2 XL instead of buying the Note 8? 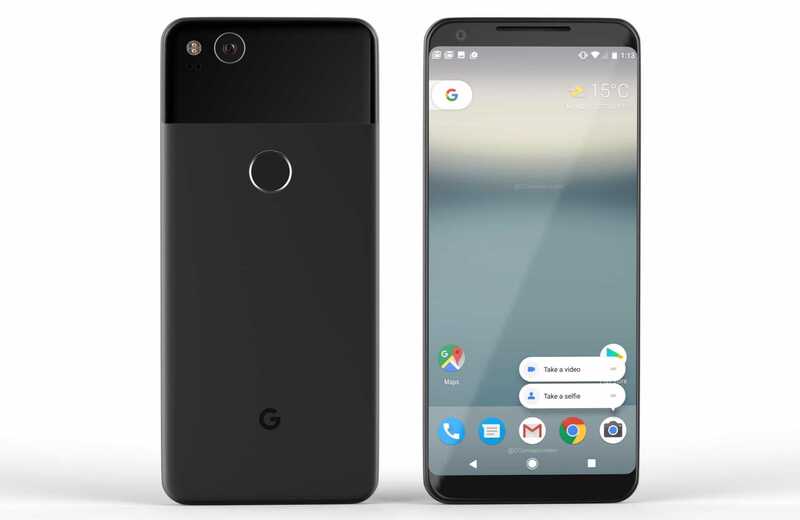 The Google Pixel 2 XL is rumored to come with a 6-inch QHD display screen that dominates the entire front panel akin to the LG G6 and Samsung Galaxy Note 8, however, the screen will be flat and not curved edge like the latter. Like the HTC U11, the Pixel 2 XL is said to come with a pressure-sensitive edge that will add extra functionalities or rather ways to interact with the phone. There is a new Snapdragon 836 processor to power the phone as opposed to the Snapdragon 835 used in the Galaxy Note 8, however, Google is unlikely to match the 6GB RAM used on the Note 8, instead, the Pixel 2 XL should stick to the same 4GB module used on the original Pixels. We’ve seen many phones with dual cameras, including Apple’s iPhone 7 Plus, but none of them comes close to what the single-lens setup on the Google Pixel and Pixel XL delivers in terms of quality photography. In short, the dual-lens camera on the Galaxy Note 8 is nothing to mean that the phone will deliver better photos than the single-lens setup that will appear on the Google Pixel 2 XL. Another thing that people don’t like about the Note 8 is the battery capacity. Given that the 5.5-inch Pixel XL has a 3450mAh unit on board, the bigger 6-inch Pixel 2 XL should get a similarly bigger battery unit, bigger than the 3300mAh unit used on the Galaxy Note 8. The fingerprint sensor placement on the Note 8 also looks weird, but we all know how good Google is with this feature. If anything, there’s more to be excited about with respect to the Google Pixel 2 XL as opposed to the just-unveiled Samsung Galaxy Note 8. In fact, we’d rather off hang in there for the launch of the former than go for the latter. What are your thoughts? Let us know in your comments below.